I believe this cake was orginally designed from a bakery in Orange County, called the Sweet & Saucy Shop. In my opinion, this cake is drop dead gorgeous! I could not have been more excited when I was giving the opportunity to recreate it! 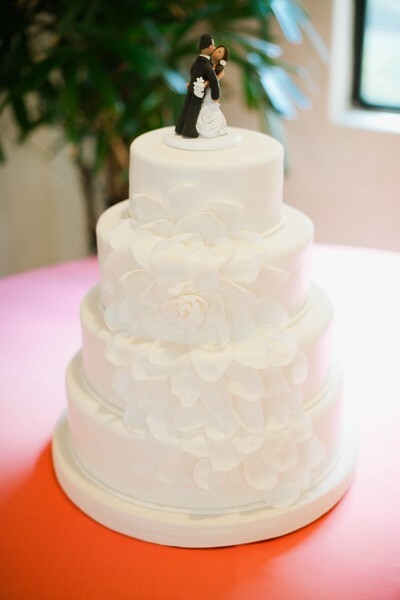 Each petal is individually hand crafted and placed on the cake. Which makes the cake a true labor of love!